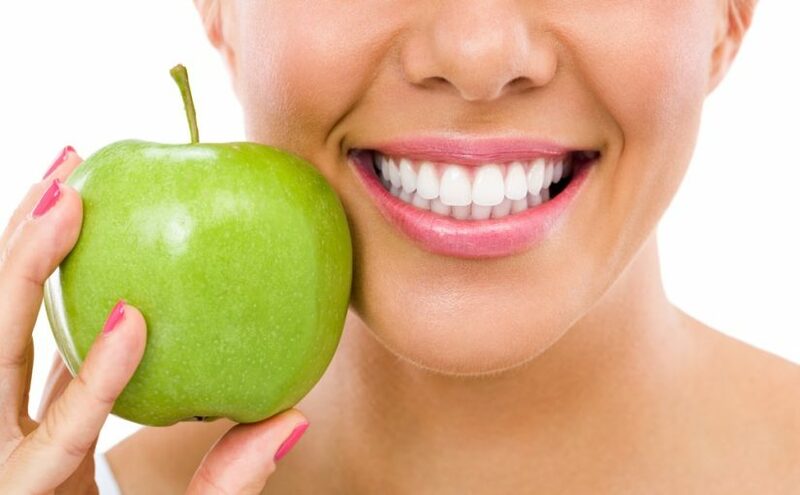 What is the relationship between Diet and Oral Health? “Your gums are bleeding because you don’t floss.” If you’re anything like the 32% of Americans that never flosses, you’ve probably heard this line from your dentist more times than you can count. You may go home with the intention of flossing, but after a day or two, it falls by the wayside. But oral health is important for everyone to practice. You should brush and floss daily to maintain those pearly whites. Neglecting your oral health can cause some serious side effects that nobody wants to deal with. Do you want to know more? Keep reading to learn why you should brush and floss. Perhaps the most obvious benefit of good oral hygiene is to have healthy teeth. If you’ve ever felt the sharp pain that accompanies cavities, you’ll know that they’re not fun. A cavity is caused when plaque builds up on your teeth and wears down the enamel. If left untreated, it continues to wear down your tooth dentin. The best way to prevent cavities is to brush and floss every day to remove the plaque on and in-between your teeth before it can attack. Has your partner ever dodged a kiss? Do your coworkers rush conversations with you? This may be because you have bad breath. It’s an awkward and embarrassing problem, but it’s not something you have to live with. Plaque is full of bacteria. If you aren’t brushing and flossing this plaque away, that bacteria can set up camp and cause bad breath. Do your gums feel tender to the touch? Are they red and inflamed? It sounds like you may be in the early stages of gingivitis. When plaque and tartar accumulate on your gumline, the bacteria present in it can irritate your gums. If left untreated it can turn into periodontitis, which can lead to tooth loss. It doesn’t matter if you floss before or after brushing, but you should do both to make sure your teeth and gums are squeaky clean. Have you ever had a friend or colleague that left a toothache untreated? People tend to have the misconception that problems in the mouth aren’t as important as problems in other areas of the body. But the truth is that oral health affects your overall health. Untreated tooth abscesses can lead to a bacterial infection that can spread to your jaw, neck, or brain and become life-threatening. Gum disease has been linked to an increased risk of heart attack, diabetes, and stroke. By just taking a few minutes to brush and floss every day, you can prevent these risks and have a healthier body. Regular deep cleanings by your dentist are also necessary to remove hard tartar that brushing and flossing can’t get. If you’ve been neglecting your oral hygiene, it may seem hard to start up a good habit. However, taking care of your teeth and gums is a vital part of caring for your health. Just follow our guide to learn why you should brush and floss every day. Did you find this helpful? Check out our blog for more great content like this. Is your child about to take their first trip to the dentist? Let’s face it, the dentist can be a scary place for a child. It’s a new environment with new people. And these new strangers are going to poke and prod at your mouth? No thanks. But, while we’ll admit a trip to the dentist is definitely no trip to Disneyland, it doesn’t have to be scary or dreadful. In fact, your child may actually end up enjoying their trip to the dentist. But, in order for your children to enjoy themselves, you first need to make sure they’re prepared. Read on to learn how to prepare your child for their first dental visit. Children are little sponges and any new information you teach them they will soak up. A good way to calm their nerves before their first visit to the dentist is to teach them all about their teeth and their oral health. Start having conversations with your child about healthy habits for their teeth and how they can take better care of them. Even for really young children, simply having them identify where the teeth and tongue are can make a difference. You can use fun activities to teach your child about their mouths, such as sing-alongs, craft projects, poems, and books. If your child has an older sibling, you can also use them to help. Have your children brush their teeth together. You can have them brush to songs, use coloured toothpaste, etc. Whatever you can do to make teeth seem more fun, the better! One of the best ways you can prepare your child for their first dental visit is by taking them with you to yours. This will not only help them get acquainted with their new environment, but it will also help show them the dentist is not so scary after all. 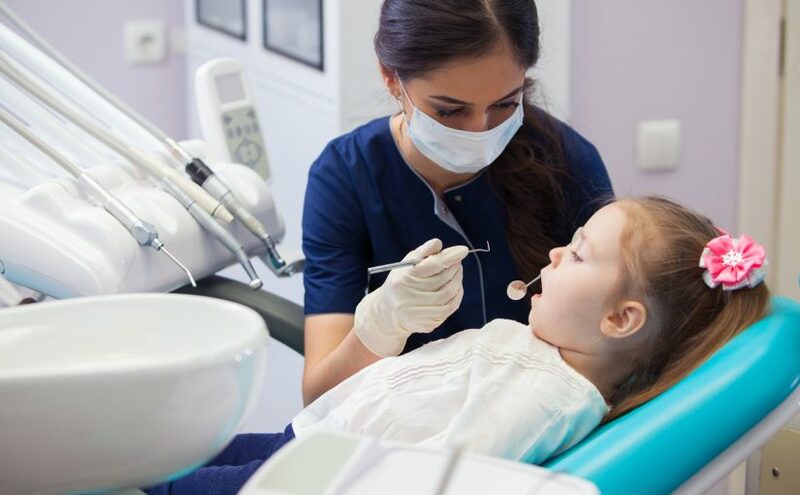 When you take your child with you, make sure to show them around and introduce them to the dentists and office workers you come in contact with. Make sure you are smiling plenty and have a happy attitude. If your child sees you having fun at the dentist, they will see no reason for them not to have fun either! Telling your child what to expect at their first appointment can help eliminate any scary surprises. Usually, the first appointment involves the dentist explaining the importance of having clean teeth. They will do this using different visuals, such as oversized teeth. Sometimes, the dentists will count their teeth and give them a simple cleaning and brushing. You may be allowed into the dentist’s room, or you may be asked to wait outside in the lobby. Make sure your child is prepared for both. However, it’s a good idea to let them go in alone, as this encourages independence. It can be a good idea to call your dentist beforehand so you know exactly what will happen that first appointment. Then, you can tell your child everything they have to look forward to. Follow these steps, and your child should be good and ready for their first dental visit. If you have any questions about taking your child to the dentist, or would like to schedule an appointment, please contact us today. Do You Have Bleeding Gums? 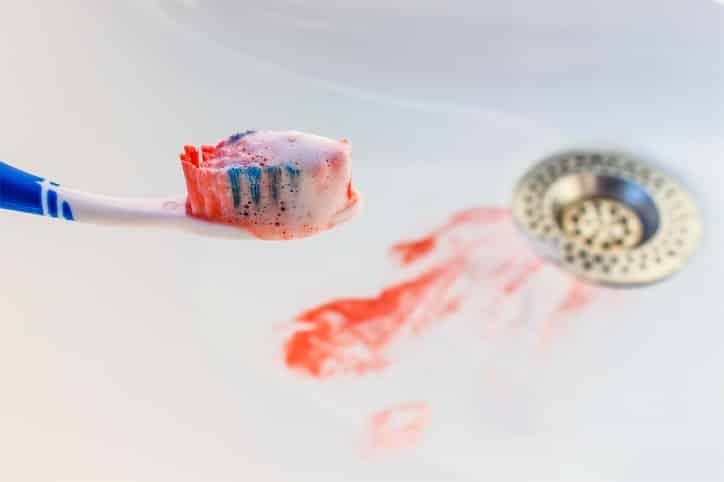 We understand how alarming it must be to see blood in your sink after brushing your teeth, but there is no need to panic! Gums might be just a tiny part of our body, but they actually have a big job. For starters, they protect the roots and neck of our teeth from bacteria. Without healthy gums to guard our teeth, bacteria can easily sneak beneath your teeth, causing damage to tissues over time. The tissues will then become too damaged to hold your teeth, leading to loose teeth that may eventually fall out. If you do not brush or floss regularly, bacteria build up in the groove surrounding your teeth. As bacteria move and grow, they irritate the gums, causing gingivitis. This is the early stage of gum disease and its most common symptom: bleeding gums. Fortunately, this stage of gum is reversible. One of our dentists or dental hygienists can help scrape away bacteria and plaque. Flossing and brushing regularly keeps the bacteria at bay so you can enjoy healthy gums again. If gingivitis gets worse, your gums will start pulling away from your teeth, leaving space for bacteria to go into the tissues below your teeth. Keep in mind that the longer bacteria live in your tissues, the worse your dental health also gets. When a woman is pregnant, there are hormonal changes that affect her entire body, including the gums, leading to a condition called pregnancy gingivitis. To avoid any oral issues while you are pregnant, it is best to have one of our dentists take care of your dental health with you. The medications that you take can also cause your gums to bleed – even if you have healthy brushing and flossing habits. Aspirin and blood thinners keep the blood from clotting. These medications increase the risk of bleeding gums and might cause the gums to bleed for a long time after brushing. Make sure to tell your dentist if you are taking any of those medications. If you have just started to have an oral health routine, then your gums might bleed until your mouth gets used eventually to those new habits. Flossing and brushing regularly clear away plaque and bacteria from your gums. Gradually your gums should bleed less until it stops altogether eventually. If your gums bleed regularly, even if you practice good habits, then it is a must to make an appointment with one of our dentists soon. The sooner you see your dentist about signs of gum disease, then the condition will also more likely be reversed. Cavities are undesirable, and they should be prevented whenever possible. Most parents teach their kids about the importance of brushing and flossing their teeth regularly. 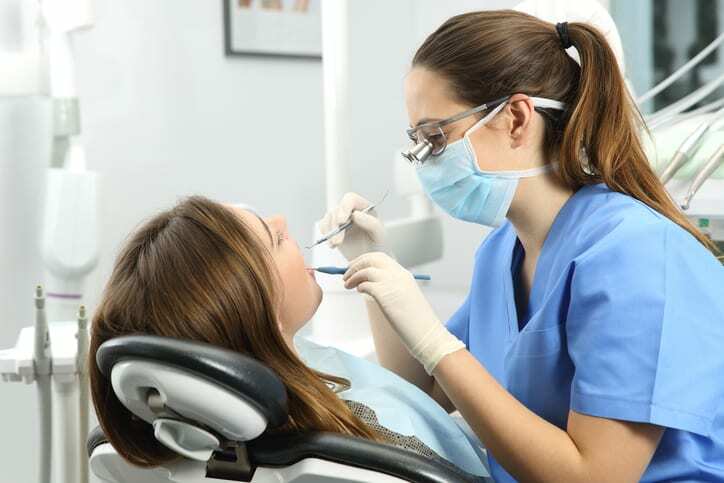 Many people are diligent when it comes to visiting their dentists twice a year for preventive checkups and cleanings. However, there are still some myths related to cavities – both among children and adults. Let us debunk some of these myths today so that we all have a solid understanding of preventative measures, risk factors, and treatment options. #01. Cavities are a childhood problem. This is one of the most popular cavity myths all around the world. Many adults believe that cavities occur during childhood and that it something that they can leave behind when they get older. However, that is not the case. In reality, more adults tend to have more cavities than children. #02. Once you get a tooth filling, it will not be affected by cavities anymore. Again, this is FALSE. The filling process involves the decay being removed by the dentist, then filling in the cavity. When the decay has been removed and replaced, most people think that they do not have to worry about that tooth anymore. While decay at that particular spot is stopped after the treatment, it is still a must to maintain good oral hygiene. The rest of your teeth can still develop cavities, and it can also develop decay around or next to the filling. Remember, fillings do not give us a free pass to neglect our oral health. #03. If your teeth are sensitive, you have a cavity. Tooth sensitivity can be caused be several culprits – not just decay. For instance, gum recession is a condition that results in exposed roots of the teeth, and it is a major cause of sensitivity. Worn enamel can also lead to teeth sensitivity, and this is often caused by aggressive brushing or bruxism (grinding of the teeth). #04. Gaps in teeth are a risk factor for tooth decay. 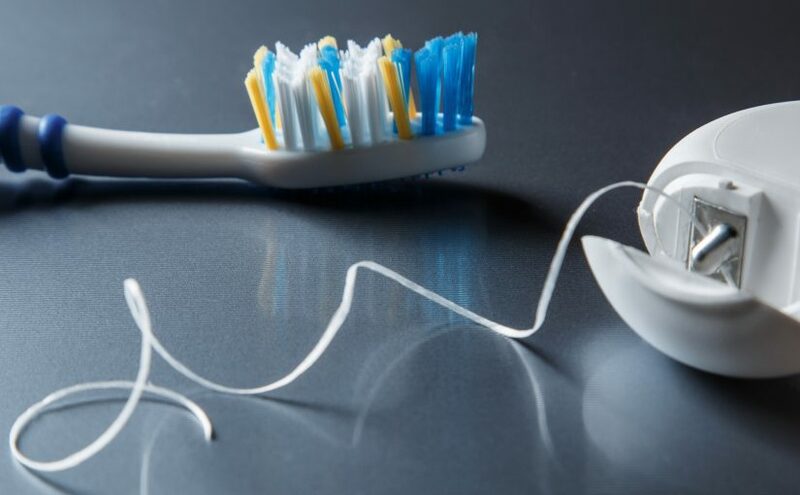 This myth most likely originated from the concept that flossing is important because it is able to get to the hard-to-reach areas between our teeth. As true as that may be, gaps in the teeth are not a risk factor for decay. Large gaps, in fact, make flossing and brushing between those teeth easier! #05. Sugar is the only cause of tooth decay. Many people also believe that if they avoid drinking soda or eating sugar candy, they will not develop cavities. While sugar is a major culprit behind tooth decay, it is NOT the only one. Plaque, a sticky film, is always forming on the teeth. When you eat sugar or carbohydrates (potatoes, rice, fruits, bread), the plaque feeds on it. It then produces acid, which eats away at the teeth, leading to decay. Learn more about cavity prevention and tooth decay; contact us today and set up an appointment with one of our trusted dental professionals. *Being able to chew for good nutrition. *Avoiding gum disease and other serious problems. #01. It’s never too early to start. One in four young children can develop signs of tooth decay way before they even start school. By the time your kid reaches the ages of 12 to 15, you can expect that half of the children his or her age have cavities. Dental care should actually begin as soon as your child’s first tooth appears – usually around six months after birth. When dealing with babies, their teeth can be wiped clean with a damp cloth or a very soft brush. When your child turns two years old, then you can let him or her have a turn brushing for themselves; just be sure to still follow up and supervise them. #02. Seal off any trouble. Permanent molars come in when your child turns six years old. Thin protective coatings may be applied to the chewing surfaces of your child’s back teeth to prevent tooth decay in the pits and fissures. Sealants are known for reducing caries significantly. For more questions about this dental tip, do not hesitate to set up an appointment with one of our dentists today! #03. Use the right amount of fluoride. Fluoride is known for strengthening enamel, making it less likely to decay. Some people even drink fluoridated water. There are also kinds of toothpaste and mouthwash that contain fluoride. Just be careful, though – you do not want to use too much fluoride! It should be used sparingly in young children – not more than a pea-sized dab on their toothbrushes. Too much fluoride can cause white spots on the teeth – you do not want that either. It is a rare occurrence though that we actually see this. As such, this can be an important additive to tooth care to prevent the other end of the spectrum of soft spots or decay which we see routinely. Happy medium! #04. Brush teeth twice a day and floss daily. Tooth decay and gum disease continue to be big problems and not just for older people! Three-quarters of teenagers, according to a study, have gums that bleed. #05. Block blows to the teeth. Sports and other recreational activities are great for building healthy bodies, but they can also pose a great threat to the teeth. Most school teams require kids nowadays to wear mouth guards. However, unsupervised recreational activities such as rollerblading and skateboarding can still result in injuries. Have one of our dentists create a custom-fitted mouth guard for your kids. These are just some of the great dental tips that moms should know! For more expert dental advice, do not hesitate to give us a call today and set up an appointment with one of our trusted dentists! Most of us are familiar with the semi-annual professional cleanings of our teeth, right? It is a routine procedure that is covered by most dental insurance, and they help us keep our teeth clean and healthy. Some people, however, tend to neglect their teeth cleanings or prophylaxis, or some have more serious issues with their oral health. They can benefit from a deep cleaning of their teeth. This is routinely performed within our office as part of your cleaning by our registered dental hygienists who are trained to do so as necessary. The depth of the cleaning is necessitated by the depth of pocketing around the tooth. If bacteria have access to an area then that area needs to be addressed even if you don’t see it. Deep cleaning, also known as Scaling and Root Planing, is a therapeutic procedure essential to heading off periodontal disease. In addition to cleaning the teeth, the dentist or registered hygienist will use scalers, probes and other tools for cleaning the area below the gum line. Depending on the extent of the cleaning and patient sensitivity, the provider might opt to numb the area to be cleaned with the use of local anesthetic to ensure comfort. Periodontal disease occurs when plaque, calculus, and stain on the crown and root surfaces of the teeth start to cause inflammation of the gums. Rough surfaces harbour bacteria. If this is left untreated, it can lead to serious damage to the bones and soft tissue that the teeth rely on for integrity and support. If left untreated for too long, the end result is tooth loss. This is often initially observed as ‘receding gums’ – the gum tissue pulls away and detaches from the teeth. This is also the time when periodontal pockets form. This alteration to the foundation is also created with the presence of disruptive force applications. Bacterial invasion creates mobility and mobility allows bacterial invasion. These two combatants must be kept in check. Scaling and root planning gives the gums a healthier environment in which they can readapt and attach to the normal teeth surfaces. WHY SHOULD YOU GET DENTAL HYGIENE/A DEEP CLEANING? Deep dental cleanings help discourage diseases that result from a proliferation of bacteria. Removing all calculus, plaque and tartar also mean that infections will no longer easily form. There have been many studies that have proved the connection between one’s oral and overall health. It has also been shown that the root diseases such as cardiovascular diseases and stroke are often found in one’s oral health. Deep dental cleaning can be your ally in preventing medical conditions that are linked to oral issues. The mouth is the portal of entry. In addition, regular dental checkups and deep cleaning procedures can help you diagnose life-threatening diseases earlier. The most common cause of gum diseases is the buildup of plaque, and gum disease is known to be the major cause of tooth loss. Since deep cleaning includes removing the plaque from your teeth and gums, it helps prevent from having loose teeth or worse, tooth loss. Sparkling white smiles is what all of us want, right? We all know how important it is to have a bright smile for self-confidence, but it is not that easy to maintain white teeth for various reasons – drinking coffee and smoking. This is why you should consider having deep cleaning on a regular basis. Setup an appointment with one of the dentists and dental hygienists at Acadia Dental for dental hygiene/ a deep cleaning procedure. Trust us, it is worth it! Can Eating Disorders Affect One’s Oral Health? Eating disorders know no age, gender, or a specific type of person. While female teenagers and women most commonly suffer from diseases like anorexia, bulimia and compulsive overeating, they can still affect anyone. Such disorders can have many negative impacts on someone’s mental and physical health. Acadia Dental knows that these health issues can also have a big impact on one’s oral health. The effects can be dire. A disorder does not need to include vomiting for it to be bad for your teeth and gums. Heavily restrictive diets can extremely be unhealthy for one’s oral care as well. According to the National Eating Disorders Association, up to 89% of bulimia patients display signs of early tooth erosion. Other studies have shown similar findings with patients who have extremely restrictive diets. One of the reasons why some of these disorders are so harmful is due to the loss of proper nutrition which causes gums and other soft tissues to bleed more easily. Saliva production might also be affected, causing a sufferer to have a chronic dry mouth. If a patient regurgitates on a constant basis (this is also known as purging), he or she stands a greater chance of harming the teeth’s enamel due to the stomach acid. Teeth can also change in size, colour, and length, leaving them brittle. This now makes regular eating as well as one’s everyday life extremely difficult. Regular dental visits can be helpful in diagnosing and preventing eating disorders from worsening. According to the Institute for Dental Research, 28% of bulimia cases were diagnosed initially during a dental examination. A patient might not even realize that what he or she is doing is a problem. We will guide the patients and provide the help that they need. Our professional dental staff at Acadia Dental will be able to tell if a patient has recently started purging or if they have been doing so for years, as they can view the damage that has been done to the teeth. They will also be looking for tooth decay, enamel erosion, abnormal jaw alignment, chronic sore throat, mouth sores, and cracked lips, among others. If you or someone you know is being affected by an eating disorder, it is important to get help as soon as possible. 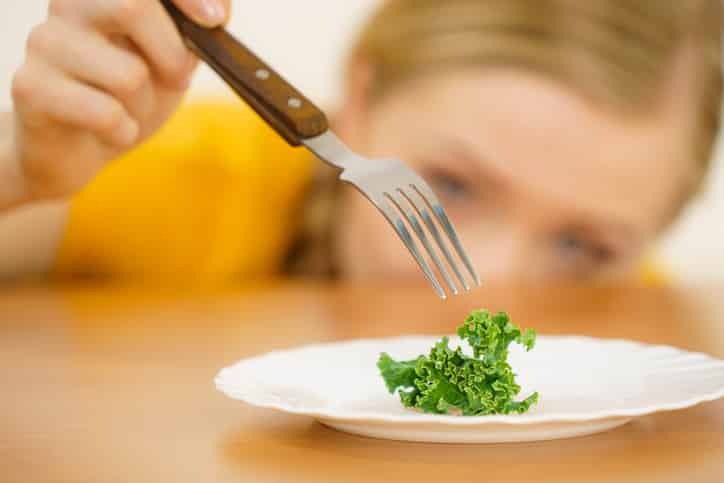 These eating disorders can be life-threatening if not treated properly. These situations should be treated with care, especially when it involves confronting a loved one. Remember that these issues are not as simple as they seem, so make sure to bring up the topic in a nonjudgmental way. This could make the difference between them seeking help and continuing on a destructive road. Dental Checkups: How Important Are They? 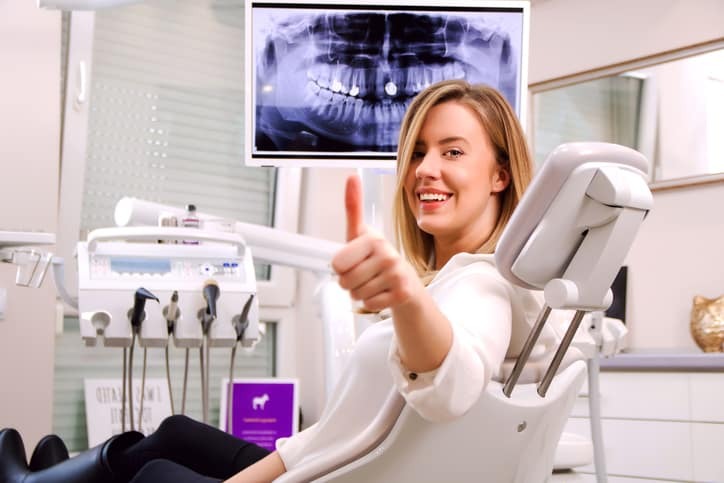 You might not be so psyched to visit your dentist every six months, like many people, but it is one of the most important appointments you must keep. One of the major concerns facing dental professionals and patients is that majority of us do not visit the dentist on a regular basis. In fact, only more than a quarter of adults visit their dentists when they have a problem. Thus, the irregularity and infrequency of dental checkups are actually causing a huge number of problems for both dental professionals and patients. If you find yourself wondering what the whole point of having regular dental checkups is, then we have some things for you to think about. Both children and adults should visit their dentists regularly, as often as recommended. For patients who have certain medical conditions, dental professionals might want to see you more often. It is important to remember that there are certain types of medication that can impact our oral health, too. Bleeding gums mean inflamed gums. There is the presence of a challenger to create this inflammation or a susceptibility that has arisen to tip the scale of a regular challenge. However, if you visit the dentist regularly helps you ensure that your gum health is properly maintained to tip the scale in your favour. Remember, early treatment still prevents serious problems from developing. The ongoing onslaught of challengers ultimately results in destruction. Pain or sensitivity are simply the response we get from a tooth when faced with a challenge. It doesn’t necessarily mean there is damage just that the natural barrier integrity is being tested by a challenger. However when a challenger is left unchecked damage can result. Pain is not a good indicator simply because it comes at different levels of onslaught and invasion for different people. 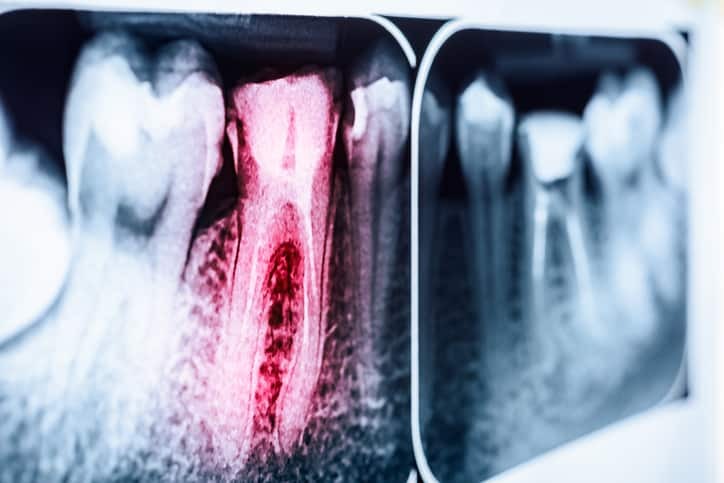 Once a cavity has reached that stage where it causes pain then root canal treatment or an extensive filling is more likely to be performed as it may be that it has been infiltrated closer to the nerve within the pulp chamber. Regular dental visits help ensure that the beginnings of destruction can be identified and treated. Additional brushing routines are also created if bacteria is the challenger or perhaps a guard or muscular treatment pursued if the challenger is more force related. Ultimately your dentist wants to help you prevent damage from occurring and not just go along and help pick up the pieces as damage results. Overall dental checkups will significantly decrease the potential for all oral health problems becoming serious. Having dental checkups is also more cost-effective as compared to paying for expensive major dental procedures such as tooth replacements, gum repair, and crowns, among others. If you are looking for a dentist whom you can entrust your teeth and gums with, then you have come to the right place! Contact us today for an appointment with one of our dentists here at Acadia Dental! The implant itself is the fixture part that is physically implanted into bone. Some people refer to this as a post, however, posts are different as they are utilized within tooth canals following root canal therapy to give internal structure to build upon. As such an implant acts as a new tooth root or foundational pillar, while a post is incorporated into an existing tooth root. This is a middle piece connector that dentists build into or attach to the top of a dental implant. It emerges from the implant to above the gums. It engages the internal connection threads of the implant. This serves as the attachment piece to shape healing of the gum tissue with a healing abutment and can be substituted for a temporary or final connection abutment. This piece, in turn, supports a crown, bridge, or the replacement tooth and it keeps it firmly in place as a natural tooth does for traditional restorations. These are still existing natural teeth that support a partial denture or a bridge. The bridge is attached to the abutment tooth during an inlay/onlay or full crown preparation. For partial dentures, rests or clasps are usually used to support the denture on the abutment tooth. Dentists utilize either natural teeth as abutments or implant abutments to build upon. A crown is a new external surface for a single tooth, and it can also be referred to as a cap. They can be linked together to span across spaces as does a bridge over water utilizing abutments as supports. If you have broken or lost a tooth due to decay, infection, injury, or other health problems, your dentist can often fit your mouth with a crown or bridge in order to replace the damaged or missing tooth or tooth structure. Crowns are typically fitted over the top of existing teeth, fortifying and replacing the missing structure, or they can also be attached to the abutment of a dental implant or also spanned across implants. These are traditional options that can replace missing teeth, but there are many patients that do not have the same success with dentures as they do with dental implants. There are dentures that can be removed daily for cleaning and storage purposes, while others are attached permanently to the mouth. Partial dentures can replace at least one tooth, but not the arch. These partial dentures can shift in your mouth and can cause discomfort, making it more difficult to speak, eat and smile. Partial dentures or complete dentures can utilize abutments to stabilize them. These abutments can again be natural teeth when available or implants or may use a combination. Most dental implants nowadays are made of titanium. This metal has a lot of advantages. Very few people have proven allergic to titanium, so it is rare for a patient to have a negative reaction to this material. It is lightweight, but very strong, thus reducing the weight on the bone or within the mouth. It also has a high affinity to oxygen, making it form a thin oxide layer when placed in the body. Titanium can ossify with the bone, which means that it can produce a stronger result that can last for many years. Titanium is also commonly utilized for the connecting abutment. Zirconia is considered a fortified ceramic. It has become a widely utilized material in dentistry due to being a strong readily white option. A white base can offer more esthetic options when trying to make replacement structure look more natural. Metallic colors often require masking layers to give a natural appearance when esthetics is of importance so white bases can allow for more translucent natural covers. This material is commonly utilized now in crowns and bridges, supporting abutments in esthetic zones, and has even been implanted as the implant fixture itself although has limitations. 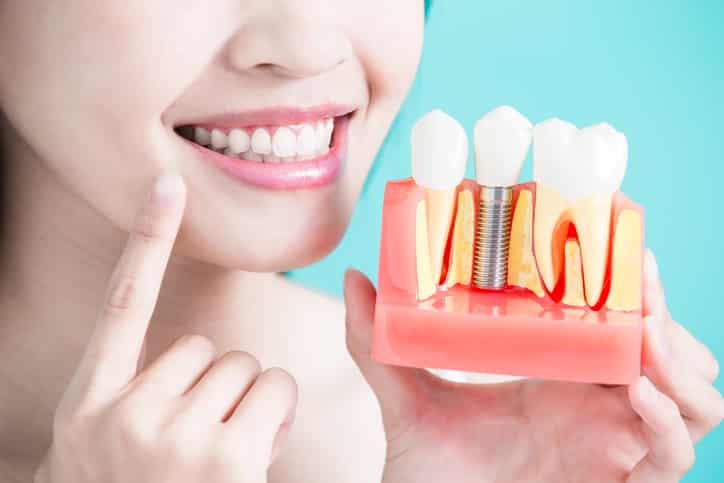 If you have other questions or concerns about dental implants, feel free to reach out to the dental experts and professionals here at Acadia Dental. We hope to hear from you soon! Do You Need a Night Guard? What’s Causing My Sensitive Teeth? Our dental clinic is located at The Centre @ Circle & 8th Mall. Please use the east entrance. Dr. Chris Mills was born and raised in Quesnel, BC. He completed his undergraduate degree at the University of Alberta before returning to BC for dental school at UBC. After completing his DMD in 2011, he spent six years working as a Dental Officer for the Canadian Army in Brandon, MB and Edmonton, AB. In early 2016 Chris, his wife and his dog packed up and moved to Saskatoon where he has been happily working ever since. In his spare time Chris is probably out hiking, fly-fishing or cooking. Dr. Jennifer Hubbard was born and raised in the northern community of Meadow Lake, Saskatchewan. In 2009, she moved to Saskatoon to attend the University of Saskatchewan. She completed three years of a Kinesiology degree before being accepted into dentistry. Jenn worked at Midtown Dental during the summer between her 3rd and 4th year of dental school; she then joined Midtown and Acadia Dental full time after graduating from the U of S College of Dentistry in 2016. In her free time, Jenn enjoys golfing, playing volleyball, hanging out with her dog, cooking, travelling, and spending time at the lake with family. Although some of you may know her as Dr. Bozek, she recently married her high school sweetheart, Brett Hubbard, in January of 2018. Dr. Kandace Kaminski was raised in St. Isidore de Bellevue, a small francophone community in Saskatchewan. Kandace is fluent in both French and English. She studied four years of biology at the University of Saskatchewan before beginning her new journey in the College of Dentistry. After receiving her Doctorate of Dental Medicine in 2015, she joined the team at Midtown Dental and its sister clinic, Acadia Dental. As a new mom, her dental passion lies with the children, as the challenges are worth the rewards. She volunteers at preschools and elementary schools to educate children on the importance of oral health which in return, helps her provide a fun and positive dental experience in the clinic. In her free time, she enjoys spending time at the lake with her family and friends, reading to her daughter, travelling, playing baseball, volleyball and humbling her husband in golf. Dr. Bobby Hubbard grew up in Meadow Lake Saskatchewan. In 1997 he attained his Bachelor of Arts degree from the University of Saskatchewan. He married his wife Heather, a dental hygienist, in 2002. After stints of work, travel, entrepreneurship, and more education, Dr. Hubbard returned to the U of S to graduate with Distinction from the College of Dentistry in 2007. At the completion of the year Dr. Hubbard purchased Midtown Dental Clinic from Drs. White & Starzynski. In 2011, Dr. Hubbard started an additional clinic to add operatory space in the form of Acadia Dental at the Centre Mall. Dr. Hubbard continues to own and operate both clinics with the support of a great dental team. Bobby is very family oriented and has 3 children Megan, Rachel, and Jack and he enjoys sharing in their activities and helping coach. He plays recreational hockey, enjoys watersports, golf, travel, drawing and his English Bulldogs. He also devotes his time, entrepreneurial experiences and spirit to his community in cofounding and developing other local businesses.